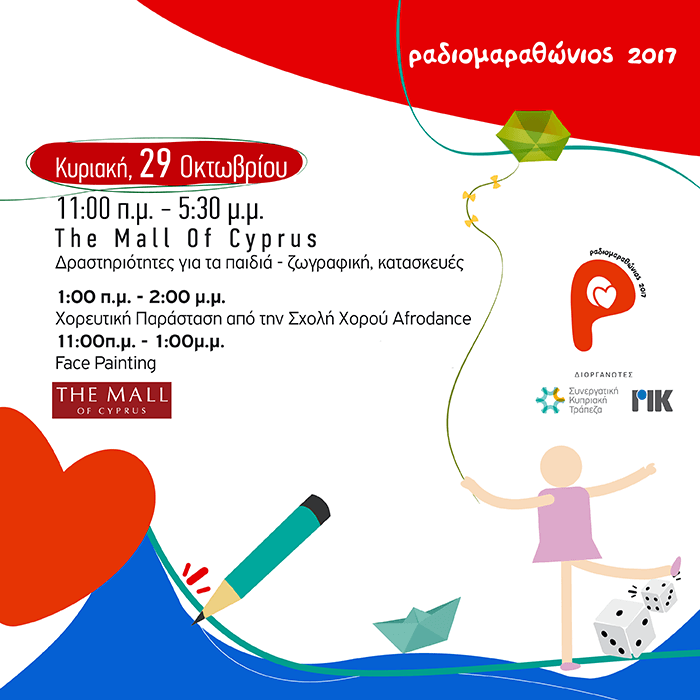 Come to The Mall of Cyprus on Sunday 29 October to continue our support for children, under the Radiomarathon 2017 campaign! Kids activities – painting, dance, crafts and face painting. All proceeds will go to the Radiomarathon Foundation.